Depke Gases & Welding Supplies offers high-quality medical gases delivered reliably and on time that are critical for healthcare providers. We supply to hospitals, dentists clinics, veterinarians, or any other profession that requires anesthetic or other medical gas. We can provide the gas you require to safely and effectively treat your patients. If you are purchasing medical gas or refilling a cylinder, we are committed to delivering them on time each and every time. Oxygen and Liquid Oxygen U.S.P. High quality medical grade oxygen is essential to patient respiration and combustion for many industries, including health, dental and veterinary care. 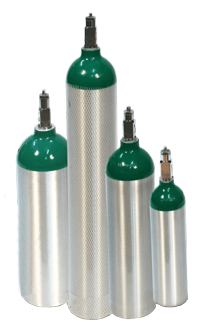 Oxygen is multi-purpose medical gas and is available in a variety of supply options. Medical-grade nitrous oxide is used in combination with other gases for anesthesia production for medical and dental procedures. It is available in a variety of supply options. Carbon Dioxide and Liquid Carbon Dioxide U.S.P. Carbon Dioxide is used for laparoscopic procedures, as it expands and stabilizes body cavities for improved visibility. Nitrogen and Liquid Nitrogen N.F. Nitrogen is used as a source of pressure to operate pneumatic surgical equipment. It is also used as a displacement against other gases in sterile or oxidizing environments. Liquid nitrogen is used by dermatologists to treat certain conditions. It can also be used to preserve items that must be frozen at extremely low temperatures. Used is respiratory therapy to control humidity.